Sneed Insurance Agency specializes in Personal Lines of Insurance offering coverage for Home, Auto, Umbrella and Life Insurance. 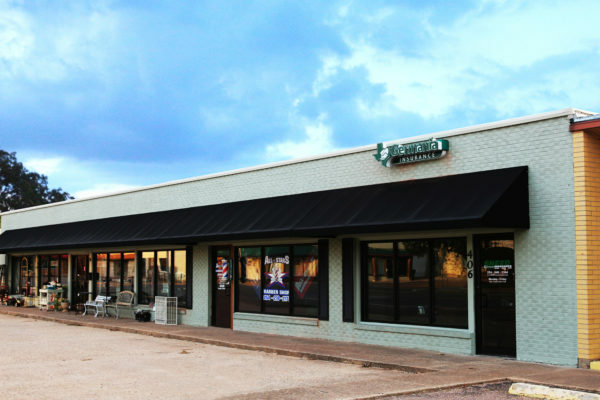 Sneed Insurance is located on Main Street in the heart of Downtown McGregor, Texas. We have owned this agency for over 20 years. This agency has been serving the community surrounding McGregor for over 120 years (chartered December 1897) . Agent of Record is John Sneed and other agents are sons Jason and Matthew Sneed. Although we are an independent agency most of the business we produce is placed with the Germania Companies. We also represent National Lloyds, Dairyland, Foremost and Progressive Insurance. Plan for your family’s future financial security. Because sometimes bad things happen. Protection for your business, assets and employees. Insurance at competitive rates and exceptional claims service.